Published by MORS Military Operations Research Society, 1999, 172 pages, www.mors.org. 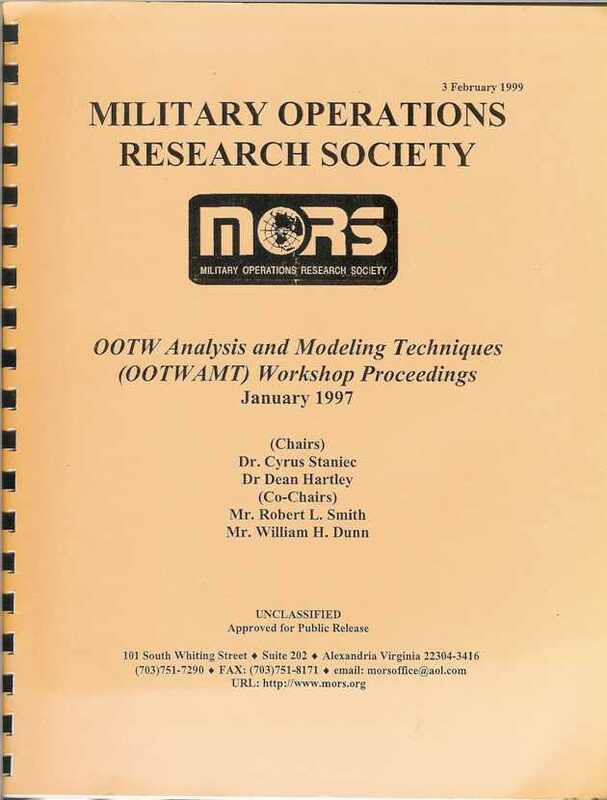 The Military Operations Research Society (MORS) held a workshop on Operations Other Than War (OOTW) analysis and model techniques on 28-30 January 1997 at MacDill Air Force Base, Florida. This book describes the workshop and its findings. If you arrived here using a keyword shortcut, you may use your browser's "back" key to return to the keyword distribution page.